The Renewal Program did not work. We knew that. But $386 million? Is anyone adding up who is accountable, and giving them a few days to pack their belongings and stop playing with public funds? What we need is someone to take over the mayor's office who can put public money into proper research and programs with proven success rates. It's called Common Sense. Another disgrace for the DeBlasio regime. Just months after taking office, Mayor Bill de Blasio announced a big bet: He would flood schools that were among the city’s worst with extra social services and academic support and give them three years to improve. Nearly three years — and $386 million — later, city officials say the program is showing academic benefits, citing increases in test scores and graduation rates among its 86 “Renewal” schools. But those improvements look very different when the schools are compared against others that are most like them, according to a first-of-its-kind analysis. Schools that had similarly low graduation rates and test scores when the program started — but did not receive an infusion of new resources — posted similar growth on those two metrics. That finding doesn’t mean the Renewal program isn’t making a difference at those schools. But it does illustrate the pitfalls of the mayor’s promise of “fast and intense” improvement — and how far the city still has to go to prove its school turnaround strategy has been worth the investment. The lack of strategic planning and intelligent guidance at the New York City Department of Education never ceases to amaze me, even after dealing with the agency since 1997. 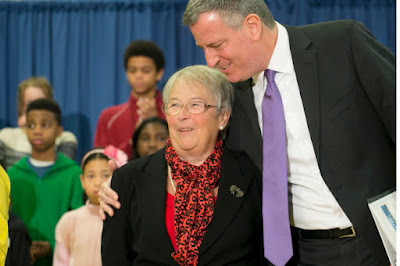 We knew that Carmen Farina is not a leader and should not be Chancellor, but Bill de Blasio would not listen. He must not be re-elected. 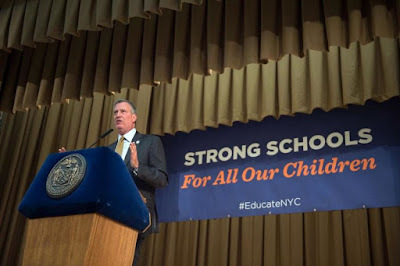 New York, NY – A new analysis of data from the New York City Department of Education and the New York State Education Department reveals that nearly half of the de Blasio administration’s Renewal high schools are failing to prepare their students for college. The report, released today by Families for Excellent Schools, finds that during the the 2015-2016 school year, college readiness rates dropped at 15 of the 34 high schools currently participating in the Mayor’s program. 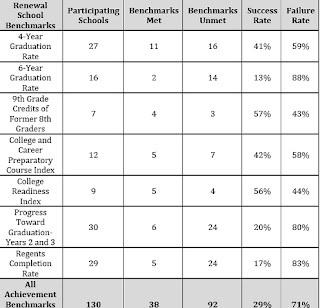 Additionally, Renewal high schools missed an average of 76% of graduation-related benchmarks for improvement. Sinking college readiness rates are the latest example of Mayor de Blasio’s signature education initiative not living up to its promises. Public Advocate Leticia James and principal’s union president Ernie Logan delivered sharp critiques of School Renewal just two weeks ago, joining a growing group of parents and advocates frustrated with the program’s failure to produce real results for New York City’s highest-need children. “Mayor de Blasio’s refusal to admit that his School Renewal program has failed is keeping thousands of kids off the path to higher education,” said Jeremiah Kittredge, CEO of Families for Excellent Schools. “With college readiness dropping at nearly half of Renewal high schools last year, it’s time for the Mayor to end this costly experiment and start supporting public schools that prepare students for college. 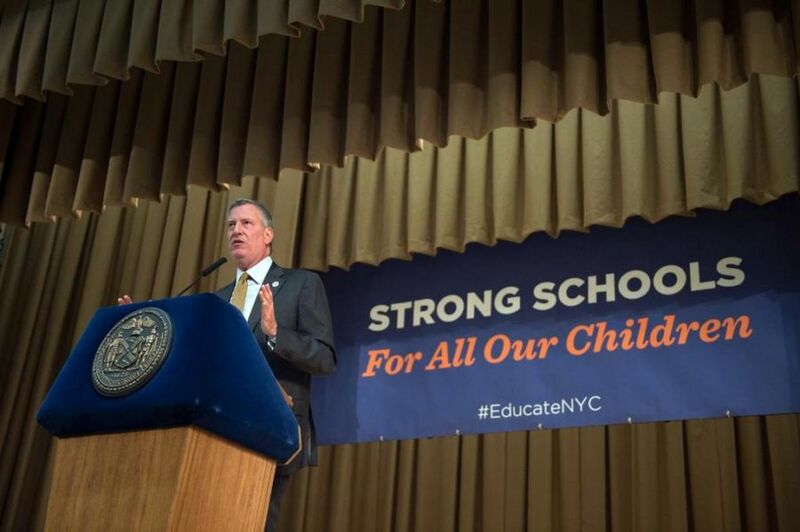 In 2014, Mayor De Blasio promised “rapid improvement” at the city’s renewal schools – but 2016’s high school achievement data proved once again that this progress remains completely out of reach. 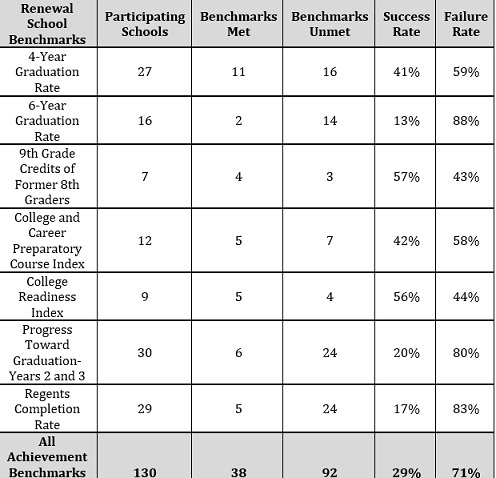 Renewal high schools fell short of 76 percent of their graduation-related benchmarks and missed 71 percent of their achievement-related targets last year, and this failure to improve outcomes in grades 9-12 had a devastating impact on student opportunities after high school. According to state and city education data, 15 of the city’s 34 renewal high schools experienced declines in college-readiness, and the rate of graduates headed to four-year colleges fell at 41 percent of renewal high schools. Renewal high school students cannot afford to continue waiting for improvement that shows no signs of materializing – and thousands have already voted with their feet in search of the educational opportunities they require to succeed after high school. Overall, renewal high school enrollment fell from 27,759 in 2014 to 20,536 in 2016 – a 26 percent plunge. Among students who remained in renewal high schools, attendance data suggests that nearly half have given up on their failed schools: 44.45 percent of renewal high schoolers were chronically absent last year, more than twice the city’s average. To serve NYC’s children and protect their future, the Mayor must end the failed renewal school experiment and do everything in his power to give every child access to an excellent school. “Renewal and Receivership Benchmark Update 2015-16,” New York City Department of Education, accessed November 26, 2016. “2015-16 School Quality Reports,” New York City Department of Education, accessed November 29, 2016. “2015-16 Report Card Database,” New York State Education Department, accessed November 17, 2016. “Demographic Snapshots,” New York City Department of Education, accessed November 17, 2016. According to DOE, this figure was transposed from the correct Index Value of 25 percent. Although the figure listed in the data is included here, the summary data has been revised to account for this discrepancy.